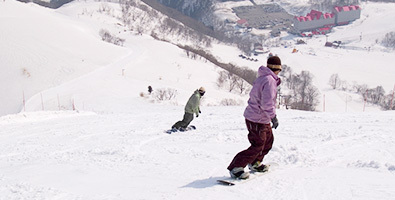 Hakuba Cortina resort boasts a large natural bowl shape and enjoys the heaviest snowfalls in the Hakuba region every season. 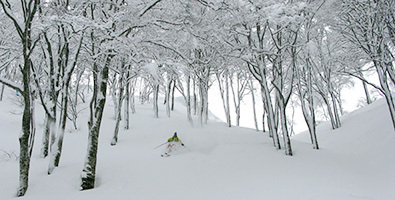 Add to that the resorts liberal off-piste policy and you have a serving of powder heaven complete with excellent tree runs on the side! 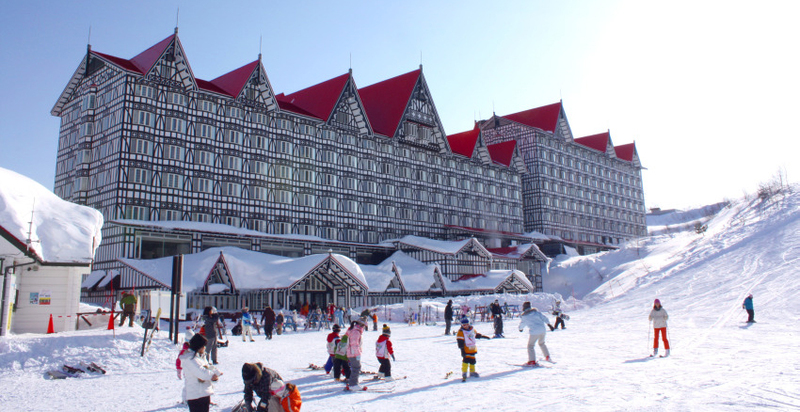 Cortina has plenty of exciting features to offer, including classy accommodation at the Hotel Green Plaza Hakuba which is located at the base of the ski field. 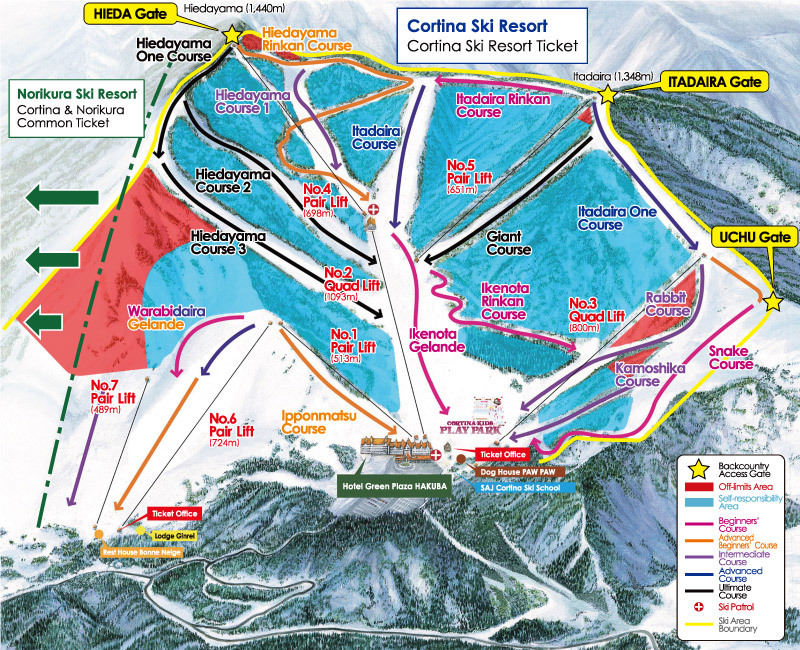 In addition to its family-friendly facilities, riders can ski-in and ski out of the hotel for an easy hassle-free start or end of the day. 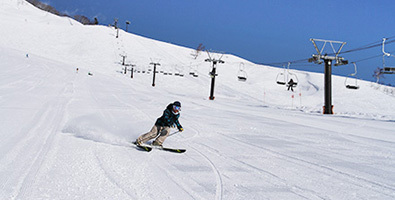 Hakuba Cortina is located just to the north of Hakuba village in neighbouring Otari Village and it is easy to get to from all parts of the Hakuba Valley. A long course that following from the ridge of Itataira. 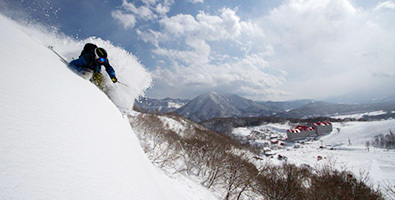 One of the famous advanced courses in superb powder snow. 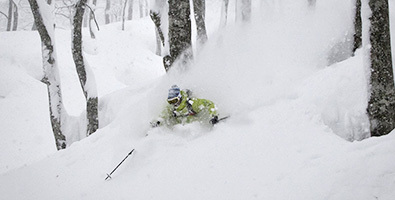 Areas of the resort to enjoy untracked tree runs in powder snow At your own responsibility! 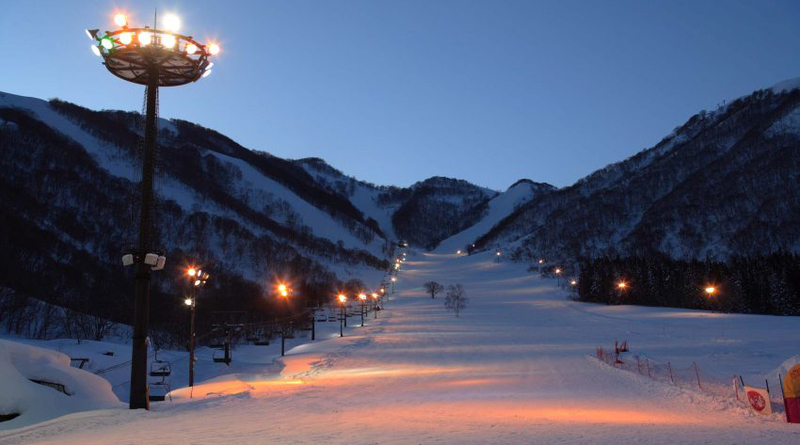 Hotel Green Plaza Hakuba is perfectly located by the base of the resort in a ski-in ski-out location close to the base lift. 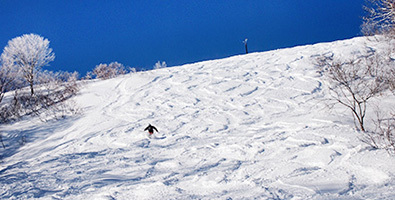 The hotel offers facilities for staying guests as well as day trippers - the onsen hot springs are popular for a good soak after a day on the slopes. 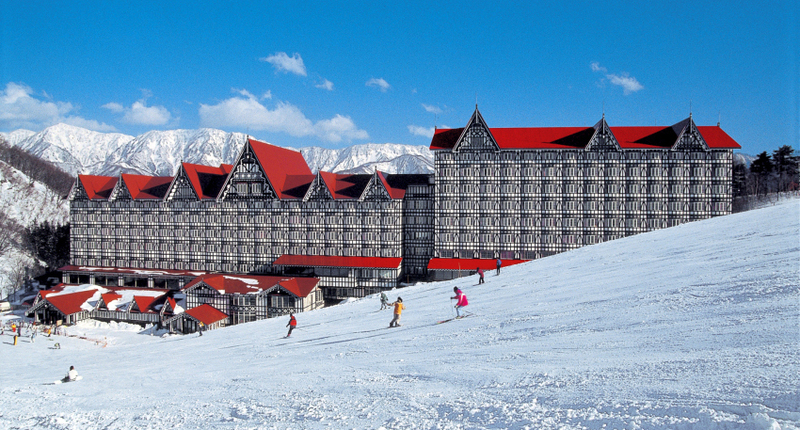 For more information on the Hotel Green Plaza Hakuba please view the information on SnowJapan or the hotel website. 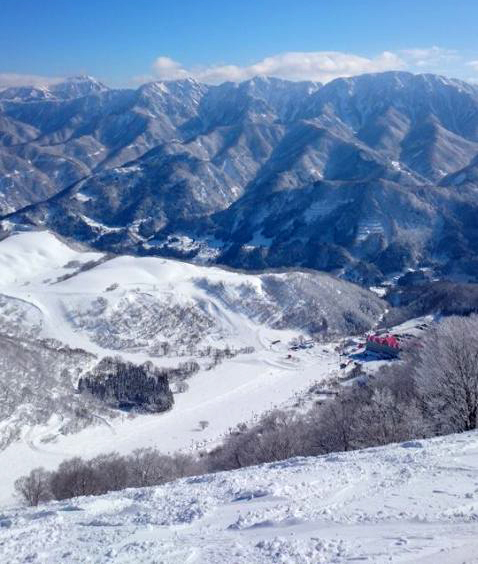 Hakuba Cortina is located in the northern area of the famous Hakuba Valley area area of northern Nagano Prefecture. 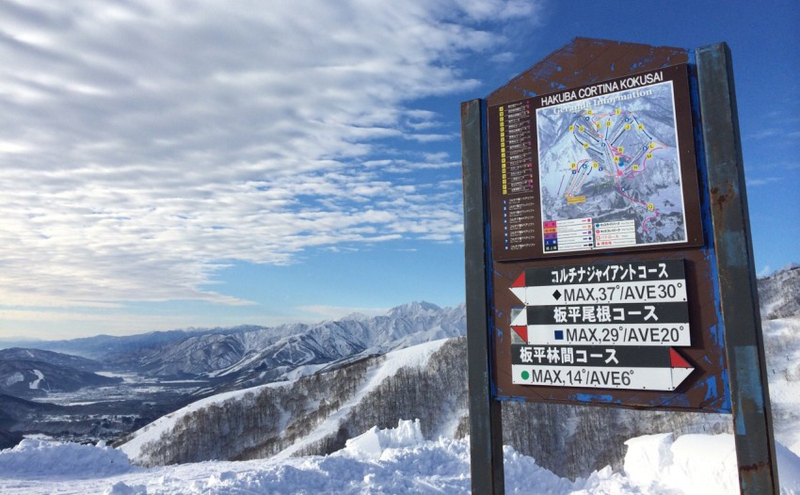 Hakuba Cortina is around 90 minutes by bus from Nagano Station (Hokuriku Shinkansen). 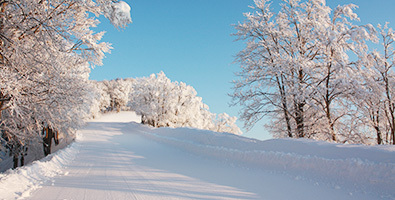 A direct bus service is available from Nagano Station to Hakuba Cortina during the winter season. Reservations are required for this service. 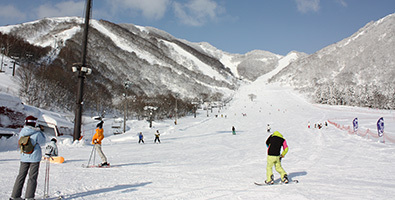 Hakuba Cortina is around 1 hour from central Nagano City.